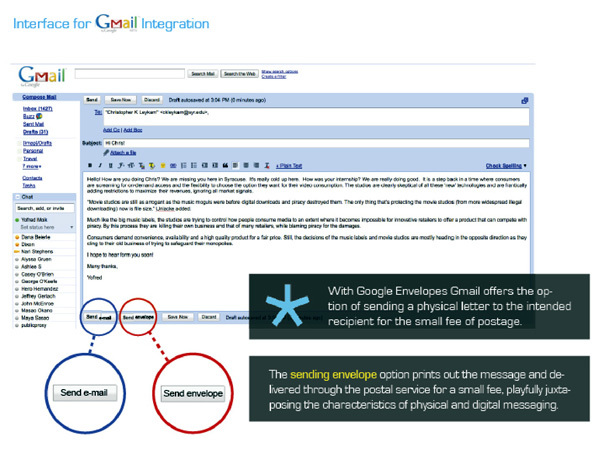 Google Envelopes Beta - NEGRARU - Amazing things come from passion. 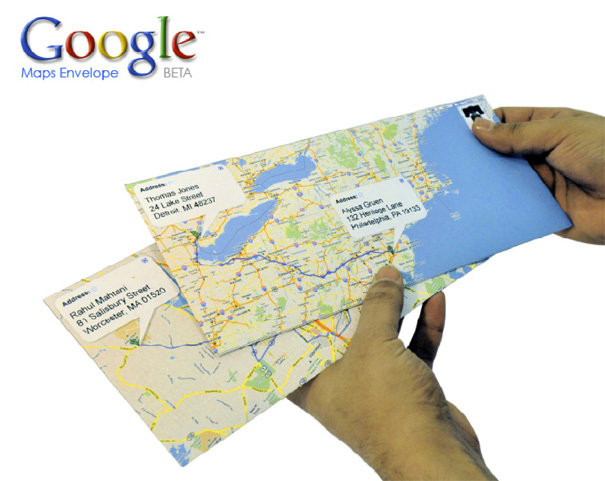 Designers Rahul Mahtani & Yofred Moik from the Industrial Design program at Syracuse University came up with this concept called Google Envelopes. 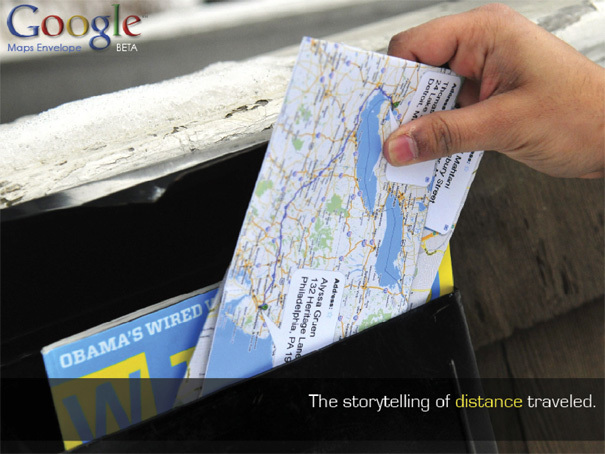 Wouldn’t it be great to be able to map the course of mail and how it can tell a story? 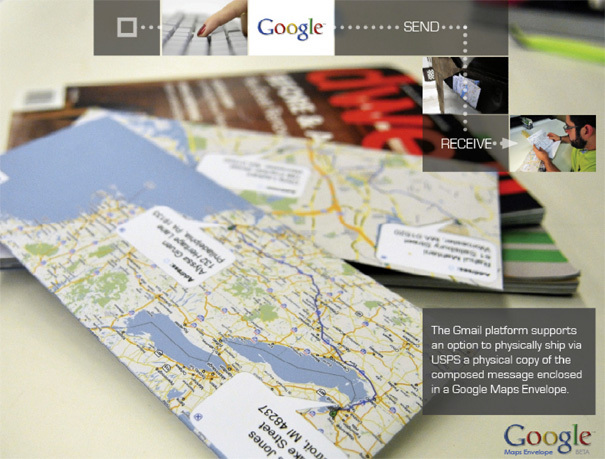 They came up with Google Envelopes, which can be sent through G-Mail itself. It’s only a concept, but totally viable and something people can immediately understand.